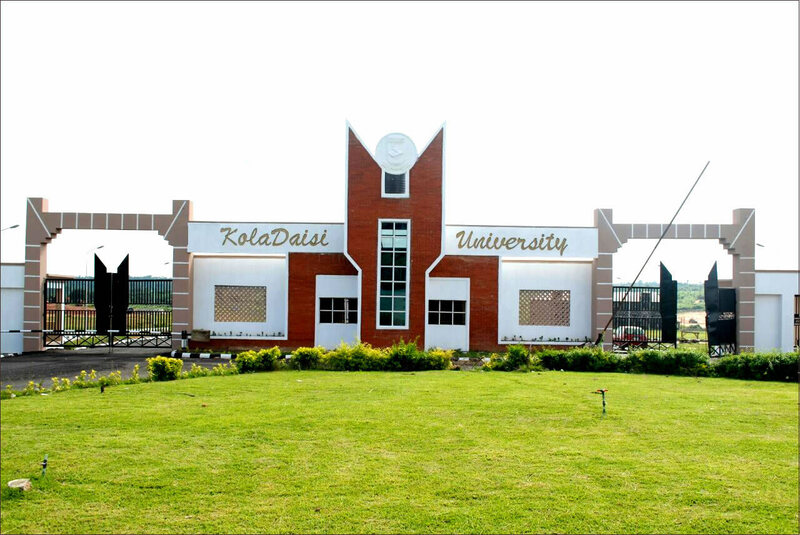 KolaDaisi University (KDU), Ibadan Post-UTME/Direct Entry Admission Form, Application Method, Entrance Examination Date, Admission Requirements, Scholarships for the 2018/2019 Academic Session. Lagos Liaison Office, Suite A2, God is Able Plaza, 24 Road, Festac. 2nd Floor, Garnet Building, Lekki-Epe Express way, Lekki. Candidates who chose KDU as either First or Second Choice in either the UTME or Direct Entry. Candidates who scored the minimum of 140 at the 2018 UTME and 4 points for Direct Entry. Candidates who have Five (5) O’ level Credit passes but with deficiencies in not more than two of the five required subject combinations, and seeking admission into the Remedial programme of the University in Arts, Management Sciences, Social Sciences and the Sciences. At least two (2) A’ Level passes in the relevant subjects. The Interim Joint Matriculation Board (IJMB), Joint Universities Preliminary Examination Board (JUPEB) or Cambridge moderated School of Basic Studies. In addition to NCE/ND/IJMB, JUPEB or two Advanced Level papers specified by each Faculty or Programme, candidates are also required to satisfy the Ordinary Level Certificate requirements of five credits as in (1) above. Candidates changing to KDU must bring copy of the Change of University form. Change of Institution can also be effected at the University campus or at the screening venue. iii. 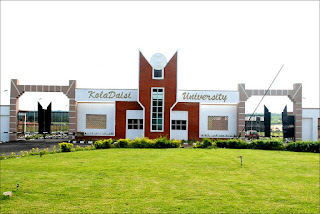 KolaDaisi University, Ibadan City Centre No. 99, Old Lagos Road, Beside Globacom Building, Challenge, Ibadan. Venue: INTO University Educational Consult, 1/3 Oladosu Oni Close Sabrab Filling station, University Road, Tanke Ilorin. Venue: Headmaster Academy, joju, Abeokuta expressway, Opposite Fidelity Bank, Sango Ota.